A cake fit for a queen, they say. This humble, no-frills, cake may not be fancy or fashionable, but its origins are far from humble. I spent the most recent public holiday reading up on random Wikipedia offerings, offset by the sudden urge to research Bran Castle (apparently it’s on the market), wandering through the subject of morganatic marriages (there goes the princess fantasies), the Kingdom of Bohemia and the Archduke Franz Ferdinand, and somehow or other I ended up at Victoria sponge cakes. I can’t tell you how I got there, but through endless right-clicking and new-tabbing, my general curiousity led me to one of my favourite tea time snacks! And wouldn’t you know it, it was almost time for tea too! 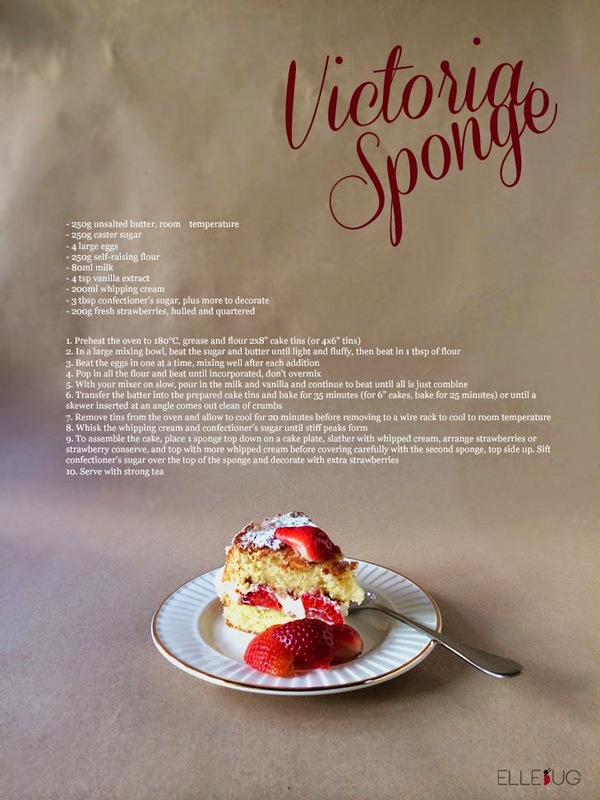 It is said that Queen Victoria absolutely loved desserts, and during her reign she had carriage-loads of cake sent to all royal residences on a daily basis. Apparently she wasn’t allowed sweets as a child, and I suppose when she grew up to be queen of England, she fought back against the man and said “I’ll have whatever dessert I want, whenever I want.” I can understand that decision. 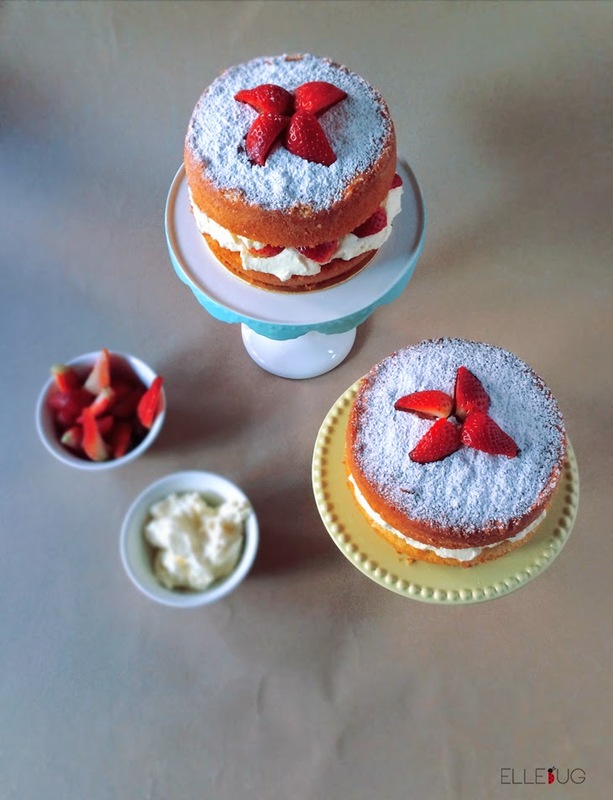 I toyed around with the idea of doing up a tropical twist Victoria Sandwich, maybe bring a taste of Sarawak (what would that be? Black pepper?) to the classic British tea time favourite… but why change something that works so well? If it ain’t broke, don’t fix it. This comforting sandwich cake may not be revolutionising dessert as we know it, but on a rainy afternoon in with the family, familiar is good. 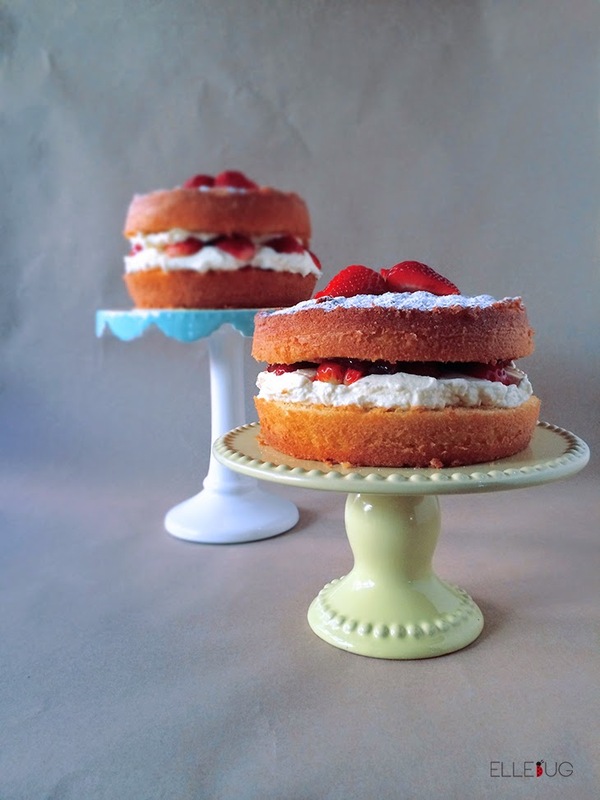 I pulled out my new cake stands from the recent trip to Melbourne for this recipe post. I’m absolutely in love with the cake stands, and I only wish I had a bigger baggage allowance… though it may be a blessing that I didn’t. I shudder to think of what that would have done to my bank balance. I’ve already got so many cake stands of different heights and widths, but I’m afraid I have a bit of an obsession with them, and there’s still so many different types that I’d like to own in multiple colours. I suppose they’ll come in handy for when I finally open up my cake shop.